We Joshua and Charlize think that Anne Frank is a child of a pure heart too, because of the hard times she went through and her ability to keep on writing after that. Anne Frank truly is a good person and a wonderful writer unlike Hitler. Hello my name is Joshua I’m a tall dark boy who is 14 years old who lives in Freeport, Grand Bahama. With my free time I often spend it playing basketball or studying. Hello my name is Charlize I’m a short, fair skinned girl who has just turned 13 and also lives in Freeport, Grand Bahama.I spend my free time playing soccer, swimming, tutoring , playing softball and doing my homework. We read your letter and we completely agree with you. Discrimination is a terrible thing and we think that everyone should work together to try and stop it. We think everyone is equal and that we need to spread the peace so that it never has to be like before. It hurts our hearts that they took advantage of those who were disabled. We hope that we all can live in harmony and that we never have to experience war. Hey our names Vaughan and Nikeitra we are 14 years old and we are both in the 9th Grade at Bishop Michael Eldon School. It was nice writing to you enjoy your day. Our names are Kobe and Jaque. Jaque is fourteen while I am thirteen. We both attend Bishop Michael Eldon School. We have not read the history on Anne Frank, but we would like to know more about her and her struggles in life. I hope you continue to do well in school. Perrisa and I received your poem about how music brings people together. I really loved it, and I decided to tell you our opinions about music. I definitely agree that music creates connections between people. In my opinion, music means a lot to me. Before going to school, I always listen to music, and it can be any kind of song. As I listen to it, I get lost in its rhythm and tune and I love it. In fact, I think music is my talent. Many people think that I have a beautiful voice and that I can learn to play the guitar. we are the students of Bishop Michael Eldon School and we are writing to you from Freeport, Grand Bahama. We read your note and it is truly unfortunate that something like this happened to your country. It is also astounding that some of such a young age could understand all these things. When we were young our focus was on things more like dolls and crayons, even now we don’t take such thing into consideration at the age of 13, so believe it or not you have changed our lives and opened our eyes to the larger world. Thanks <3. In the Bahamas we don’t have wars or bombing. We would usually have storms. それはあなたに話してよかった . Hello my name is Ambrose I am a swimmer in grade nine. I have competed in various national meets and attended three national championships. I loved your poem on trees. War is a horrible thing especially when it happens within your homeland. Peace can be your best friend every day. By the way, I have The Diary of Anne Frank. Hello my name is Tatian. I use to compete in swimming championships, but I had to stop because I wanted to focus more on my education. I love to draw and captured the mood of people in my drawings. Your poem was excellent. I loved how it so detailed. I have never been through a war before. What is it like? I read The Diary of Anne Frank, it was so sad. I pray for all of you and be safe. Hi my name is Cheyenne. I am 13 years old. I sing and also play the piano. I really like to read and write stories. One day I hope to become a famous singer and piano player but for now I am focusing on doing well in school. I really enjoyed reading your poem, I think that you are a very creative writer. I have heard about the war in Anne Franks writings and I think that that was one of the most depressing times during that timeframe. Enjoy your years! Hey Miyo my name is Trinity and I am thirteen years old. I am an amazing singer, dancer, and piano player. I am impressed with your amazing writing. I like your creativity. I am against war and crime and I think that the Diary of Anne Frank is a great book having read it myself. Your poem has deep thought and meaning. I have never traveled to Japan but would like to someday. 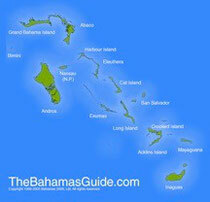 I live in Grand Bahama, Bahamas. I hope that you enjoy life. We agree with you that young people today really don’t understand how dreadful war really is. Young people really don’t know how dreadful war is . People are suffering today because of war. Half of these people aren’t even fighting but they are caught up in all the crossfire. it is wrong for us to believe that peace is among us , it is not right to believe that we are in world peace because we are far from peace . We believe that we should know that there is war in the world today a reach out for peace.